Reviews: Henry Chamberlain on Manifesto Items #5. Sean Gaffney on Ranma 1/2 Vols. 21-22, Monthly Girls' Nozaki-Kun Vol. 1 and Durarara!! Vol. 2. Jim Johnson on The Massive: Ninth Wave #1. Sean Kleefeld on It Just So Happens. Todd Klein on The Twilight Children #1 and Astro City #28. Chris Ware on Killing and Dying by Adrian Tomine. Fourcorners Comics, a newly opened shop in Gettysburg, Pennsylvania, is an oasis in a comics desert, but owner Art Sanchez knows location alone isn’t enough to make a business a success. Just how much is Frank Miller contributing to this third Dark Knight series? Looking for Star Wars comics? The big box stores don’t have ‘em, says Chris Miller, owner of Phoenix Rising Games and Comics, in Salisbury, Maryland, pointing out that Marvel pulled out of Barnes and Noble’s newsstands a while ago. You have to go to a comic shop. A manga and anime blogger who reads some scanlation sites provides interesting context on the recent arrests of several people in Japan for uploading manga before its release date. Michael Cavna on Exploring Calvin And Hobbes. The owner of the local drugstore returns to get a cheerful revenge on the kid who used to read the comics without paying for them. Sean Kleefeld argues that the way reprints are done now change retailing. Todd Klein writes about doing the lettering for Paul Levitz's biography of Will Eisner. The Winston-Salem (North Carolina) Journal looks at the increasing popularity of custom retailer variant covers. 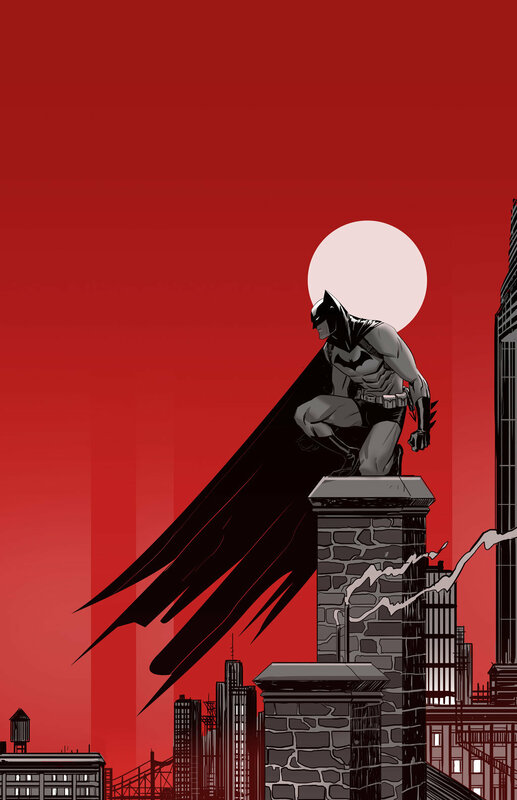 Acme Comics and Ssalefish Comics, which last week debuted an exclusive red-foil variant for Wrath of the Eternal Warrior and this week will release a cover by John Romita Jr. for Dark Knight III: The Master Race #1.